Wiper linkage and our products have change since I wrote this page, please visit linkage size and I will try to help you. What will the Repair Clip fit? The recommended maximum ball joint diameter is 14mm and a collar under the ball of less than 9.5mm. 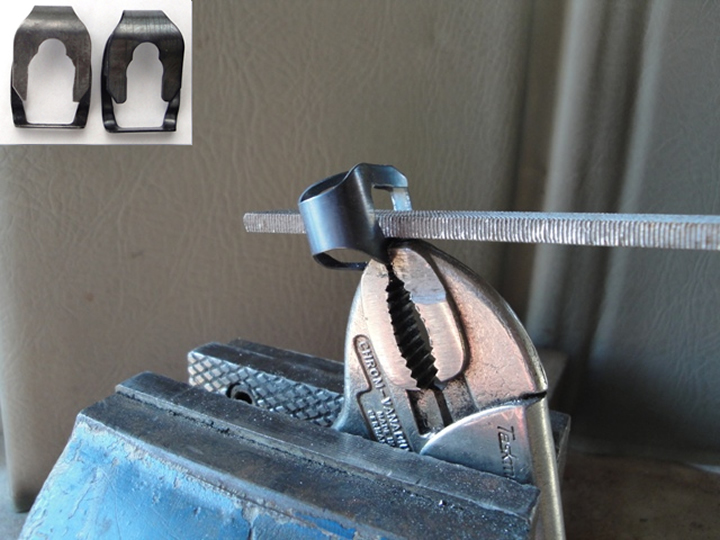 It is possible to file the clip to fit a larger collar (up to 11.5mm) but we do not recommend it as it is not always successful, please see last image. What makes and models we know it fits. 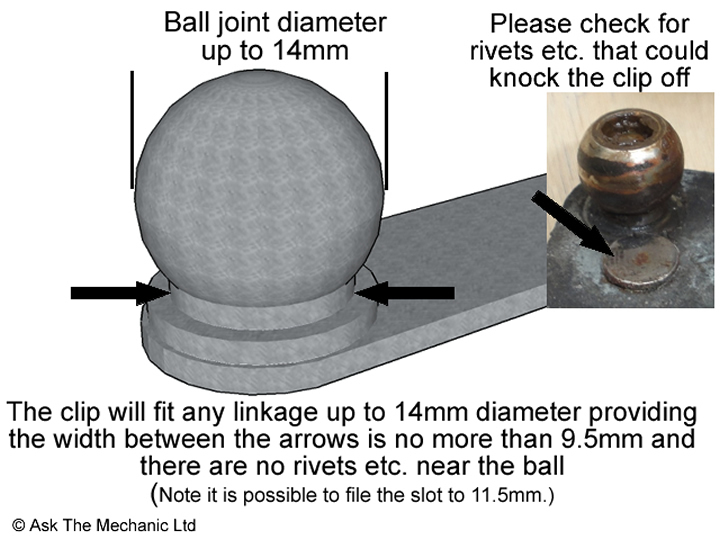 The easiest way to measure the ball joint is to cut a cardboard/plastic template with a 9.5mm slot, if it goes under the ball the repair clip will fit. It can be filed out to 11.5mm see below. The slot can be made larger using a hand file or Dremel. It can be held using mole grips and a vice.